Victoria Heisler is a multi-media artist who makes functional ceramics, fused glass wall art, oil and acrylic painting and glass mosaics. Her style is influenced by her travels in southwestern United States and Greece. She loves adobe architecture and the vivid blues and whites of Mediterranean seaside villages. 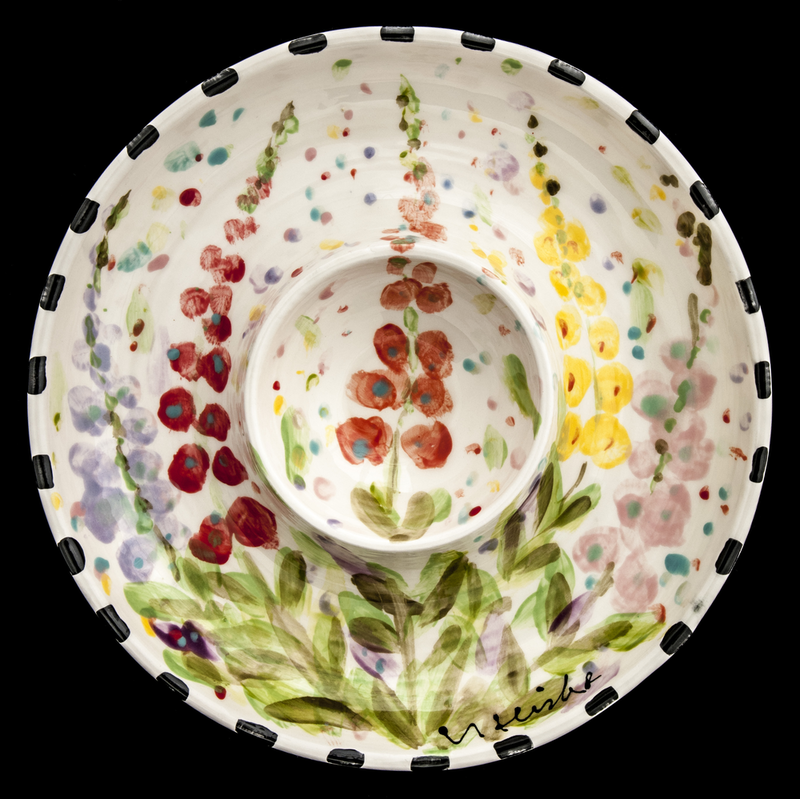 She paints her ceramic items on white earthenware. It is oven and dishwasher safe and lead free. Her glass work is also handmade and kiln fired.